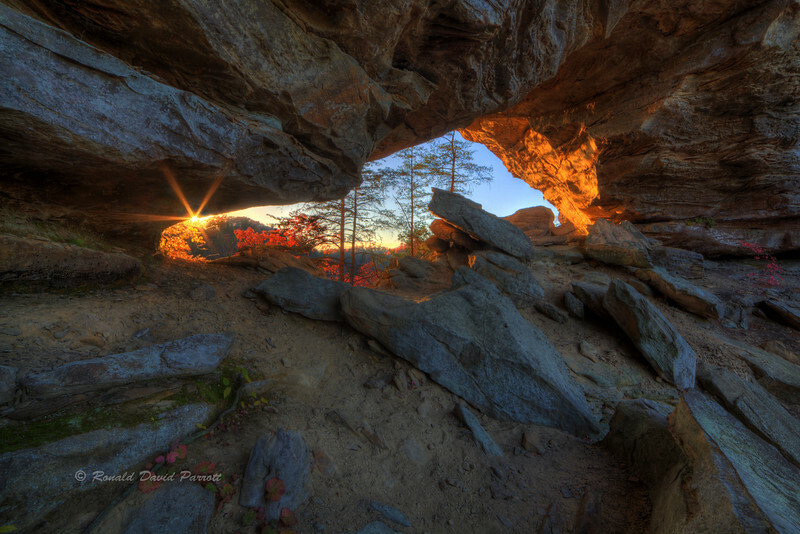 This is Castle Arch in Red River Gorge. It proudly sits high above Swift Camp Creek. It's huge surrounding rock mass provides a natural fortification fit for a king. This arch is one of the crown jewels of Kentucky. So it seems fitting to feature this composition which makes the shape of the arch somewhat resemble the state of Kentucky.